With civil liberties hanging in the balance, an open and informed debate is critical. 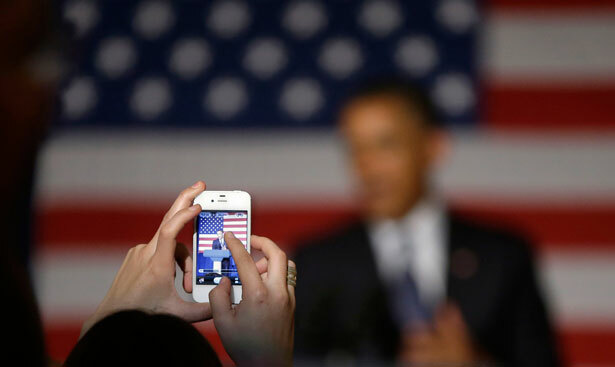 President Obama claims that he welcomes debate on the balance between privacy and security. But his administration is keeping the veil over the legal reasoning it used to justify its broad surveillance of phone calls and Internet communication. The absence of this information leaves Americans ill-equipped to even begin to determine whether or not they believe such a sweeping invasion of privacy is justified. On Tuesday, June 11, a bipartisan group of senators introduced a bill that would require the attorney general to disclose significant opinions of the Foreign Intelligence Surveillance Court (FISC). The senators argue that the disclosure would provide Americans the information needed to understand what legal authority the government is claiming to spy on them under the Patriot Act and Foreign Intelligence Surveillance Act. With civil liberties hanging in the balance, this debate is critical. Contact your senators and implore them to end the “secret law” behind government surveillance. In this recent post, John Nichols details the efforts of a bipartisan group of eight senators to require the attorney general to declassify significant FISC opinions.